Yoga Loves is an accessible yoga company providing gentle, nurturing yoga for all ages, genders, cultures and abilities. I’ve been practising yoga for 25 years and every time I come out of a class I feel better – calmer and more at home in my body. Yoga makes me feel strong, mobile, agile and I want everyone to feel that way too, no matter how old you are or what your physical ability is. Yoga classes have come a long way since I first popped out during my lunch break to a tiny gym in Camden in the early 90s. But the ethos remains the same – physical activity which nourishes you on the inside too. The balance I later found at the Iyengar Institute in Maida Vale, where I fitted in as many classes as I could, was the perfect antidote to my busy fashion industry job. Yoga felt completely natural to me after a childhood of dance classes, but I have also seen it transform people who are not natural exercisers and haven’t had a positive experience of sports. I love the way yoga makes you climb inside your body, connecting you to what’s happening in there. 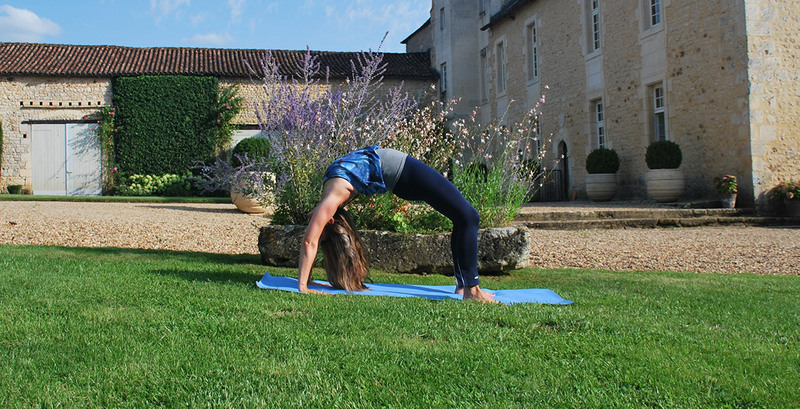 Over the years and through a move from London to Sussex and becoming a mother to three boys, yoga has been a constant, helping keep me flexible, fit and able to cope with the demands of life. I owned and ran children’s yoga franchise, Tatty Bumpkin Mid Sussex, for seven years and when that sold in 2017, I decided it was time to offer yoga to everyone and created Yoga Loves. I have attended many different classes and experienced different styles of yoga and have now developed one which suits me and the classes I teach, which are for people who want to take things a little slower for whatever reason. Yoga Loves classes are gentle, encouraging and a step-by-step introduction to the yoga poses or asanas. If you’re not sure where to start with yoga then my classes are a good place to dip your toes in. As well as open, drop-in classes, I also work with schools, care centres, workplaces and other organisations to bring yoga to you and those you care for. So if you’ve not tried yoga before, it’s time to give it a go! 2010 – 2017 – Owner of Tatty Bumpkin Mid Sussex, a children’s yoga franchise. Head of a small team, I regularly taught yoga-inspired classes to between 100 and 300 children per week in nurseries, pre-schools and schools.